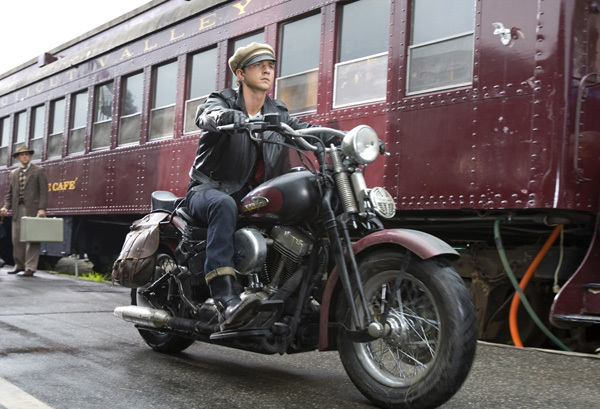 Indiana Jones and the Kingdom of the Crystal Skull wasn’t a great movie, but one of its biggest problems in my mind was the inclusion of Shia LaBeouf. Yeah, there were the aliens and the swinging monkeys, but I simply didn’t care for his character. So imagine my delight when I learned that he would not be returning for the next installment of the Indiana Jones franchise. EW is reporting that screenwriter David Koepp, who has penned a script for the storied franchise’s fifth film has confirmed that LeBeouf will not be making an appearance. Harrison plays Indiana Jones, that I can certainly say. And the Shia LaBeouf character is not in the film. Koepp also said that he and Steven Spielberg are mostly satisfied with the current version of the screenplay and that production could begin sooner rather than later. We’re plugging away at it. In terms of when we would start, I think that’s up to Mr. Spielberg and Mr. Ford. I know we’ve got a script we’re mostly happy with. Work will be endless, of course, and ongoing, and Steven just finished shooting The Post… If the stars align, hopefully it’ll be his next film. What do you think of this news? Is dropping Indy’s kid in favor of a another successor something that you want to see happen, or should the franchise die with Indiana Jones being the main man? One of the Four Founders of Stolendroids. Show host and producer of multiple podcasts. After developing a love of Star Wars and comic books as a child, Zohner was destined to be a geek. With interests touching on computers, video games, technology, books, TV and movies, and toys and collectibles, he is the epitome of a well-rounded geek.